Nightlight -- Bosman Porcelain Kissing Couple - Misc. - The Dutch Shop LLC your store for Dutch groceries. 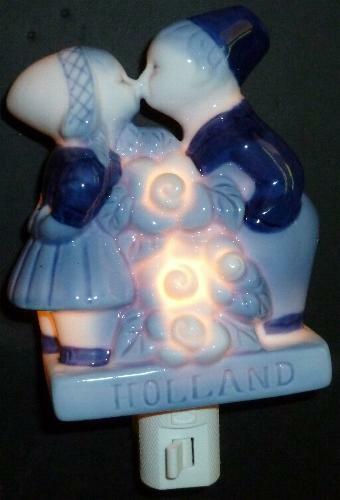 Bosman handpainted Delft's Blauw porcelain kissing couple wall light including bulb. For USA sockets. Handmade by skilled artisans, Delft blue ceramic has a history starting as far back as the seventeenth century. Stands 15cm, including plug.